Let’s take a deeper dive. 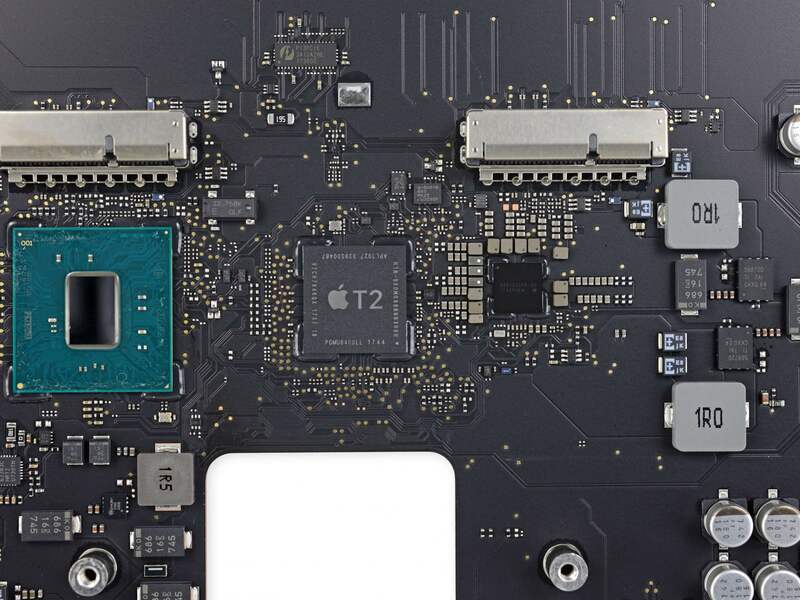 The document, first obtained by Motherboard and Mac Rumors, details that any device with Apple’s new T2 security chip – the 2018 MacBook Pro and iMac Pro – would require Apple’s proprietary ‘Apple Service Toolkit 2 (AST 2) System Configuration Suite’ to function at all. The document states that the software performs a “quick health check of hardware and software,” but it will actually completely inhibit the devices’ basic functions. Repairs that require the AST 2 software to work include any that replace the display assembly, logic board, keyboard, touchpad, internal housing or TouchID board of a MacBook Pro and the logic board and flash storage of an iMac Pro. That covers any serious repairs and all upgrades. To use the AST 2 software (which is only given out very carefully under strict legal agreements) the repairer must connect to Apple’s Global Service Exchange cloud server to “complete the repair.” That requires an Apple login, making a workaround impossible. It’s already well-known that Apple restricts who can repair their devices pretty heavily, so how much damage can this do? In the best case scenario for an Apple user who lives close to an Apple store or one of the very few authorized repairers, the price of the repair will remain at Apple’s current high prices. With no competition from third-party repair centers, Apple can charge however much they want, and you may see prices increase. If you’re like me however and live a hundred miles away from the nearest Apple store, then you can’t get your device repaired without getting the device there. For me, that’s either a four-hour round trip or a very expensive (and slow) post. It’s also quite brutal on schools, companies and DIY-ers who are used to conducting repairs themselves at a fraction of the price. But it is worst of all for all the third-party repairers whose livelihood depended on repairing Apple products. 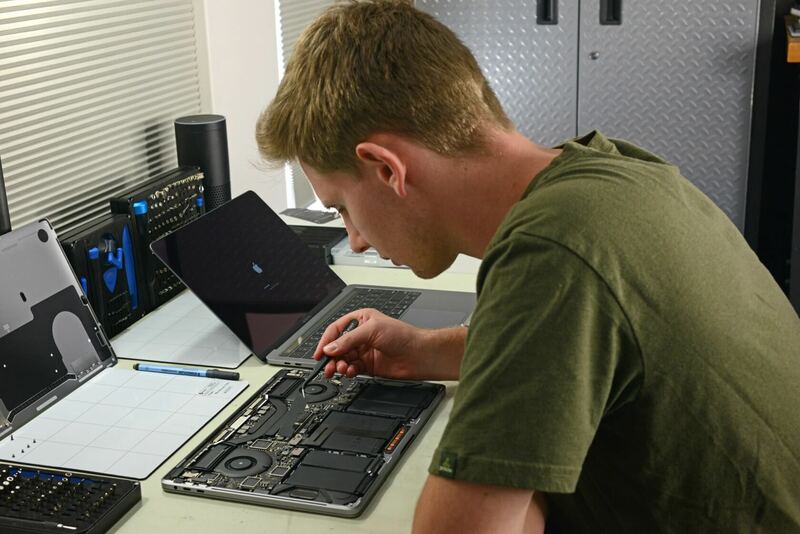 iFixit swapping the logic boards on their 2018 MacBook Pros. We have no idea when or how it will be activated. Apple has declined to comment. Why would Apple do this? The security angle does make some sense. If your MacBook is stolen, you wouldn’t want someone just replacing the logic board to make it resalable or to access your files. But it does make it so unreasonably and unnecessarily hard for the consumer – many people have commented saying how much they don’t want this. More likely is that this is Apple’s long-term plan to fight against the ‘Right to Repair.’ The right to repair is an umbrella term referring to the right of the owner of a device to repair it at a reasonable cost without the manufacturer putting any barriers in their way. Currently, 19 U.S. states are considering legislating this, but it’s known that Apple is lobbying against them in New York where lobbying records must be made public. It’s conceivable that by claiming that this is a security feature and by linking it to the T2 security chip, they could get away with restricting users’ right to repair even if the legislation does pass. If you want to stop Apple and other large companies from doing things like this, you can do so by supporting organizations and companies like iFixit. At the end of the day, though, Apple might be just shooting itself in the foot, because who wants to buy a device that is so hard to repair?